Photo by Shadi Hatem, Ma’an News Agency. BETHLEHEM (Ma’an) — A senior Israeli commander shot dead a Palestinian teenager in the West Bank Friday after he threw stones at his patrol, medics and Israeli officials said. 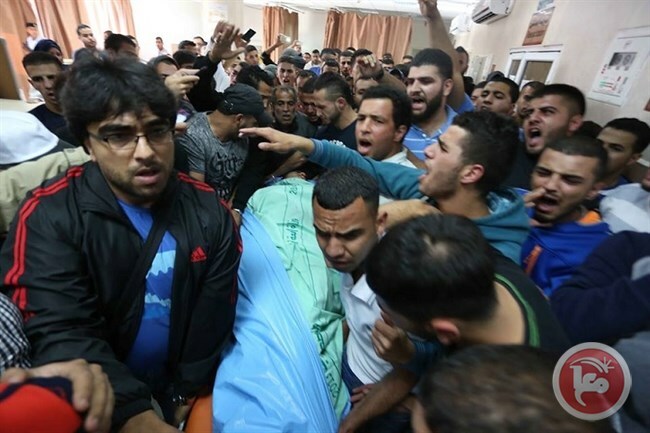 ____Muhammad Hani al-Kasbah,17, was killed by two bullets after allegedly throwing stones at an Israeli military vehicle close to the Qalandiya checkpoint, south of Ramallah, medics told Ma’an. JERUSALEM (AFP) — Hundreds of Palestinians demonstrated in East Jerusalem Thursday to commemorate the first anniversary of a teenager being burned to death last summer. ____Muhammad Abu Khdeir, 16, was abducted and killed on July 2, 2014, weeks after the kidnap and murder of three Israeli teenagers in the West Bank. ____Protesters in the streets of Abu Khdeir’s Shufat neighborhood waved Palestinian flags and held up posters and images of the boy in a beige baseball cap, an AFP correspondent said. ____He never came back. Not because he did not keep his word, but rather because the Israeli occupation has developed a policy of destroying people and their relationships. 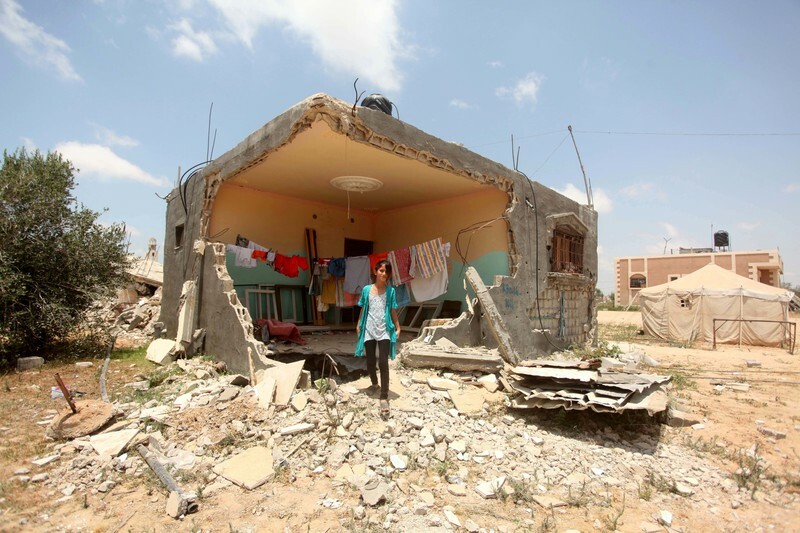 A destroyed home in Khan Younis, southern Gaza Strip, 2 July 2015. Ashraf Amra APA images. Nonviolent resistance would cost Palestinians $12 billion over ten years and the Israelis $80 billion. Violent uprising, the worst of all possible scenarios, would cost Israel $250 billion (slightly less than its 2014 GDP) and the Palestinians $46 billion (more than three times their 2014 GDP). The unsustainability of Israel’s occupation is acknowledged almost universally, yet its permanence is the only reality known to most Jews and Palestinians. Its supposed temporary nature has not prevented Israel from becoming more entrenched in its occupation, thus making any future peace deal unviable. ____This unbridgeable divide is reflected in the way that new generations of Israelis make increasingly greater demands on Palestinians . . . . while Palestinians have reached a near consensus that . . . there is nothing left for them to give other than to admit total submission and humiliation. You often hear of an airstrike on Gaza being labeled a ‘precision strike.’ But how precise can a half- or one-ton bomb be when dropped on an area the size of Detroit? ____But look a little closer next time you read about the IAF’s “precision strikes.” . . . a phrase culled straight from the euphemistic military patois that goes into much of the IDF Spokesperson’s press releases (note that this is far from a uniquely Israeli phenomenon—see “surgical strikes,” below). That tender-skinned youth did not stint in giving his blood for us. He understood. He understood, by virtue of his good instincts, that we needed clean air and a country, so he did not stint. ____It was his right to live so that he could get to know the country’s cities, one by one. It was his right to live so that he could go to university and read, at the least, ten thousand books. It was his right to live so that he could have a beautiful wife who would share the worries and joys of the world with him. It was his right to live so that he could live, like everyone else. Yet he understood by virtue of his good instincts that we. . . . so he didn’t stint. There he is leaving us now, clutching to the last a stone that he was going to hurl at the enemy. From Shukair, Mahmoud. Mordechai’s Moustache and his Wife’s Cats, and other Stories. Translated by Issa J. Boullata, Elizabeth Whitehouse, Elizabeth Winslow, and Christina Phillips. London: Banipal Books, 2007. ____He has published numerous volumes, including nine short story collections, 13 books for children, a volume of folk tales, a biography of a city, and a travelogue. He has written six series for TV, three plays, and countless newspaper and magazine articles, including for online publications. 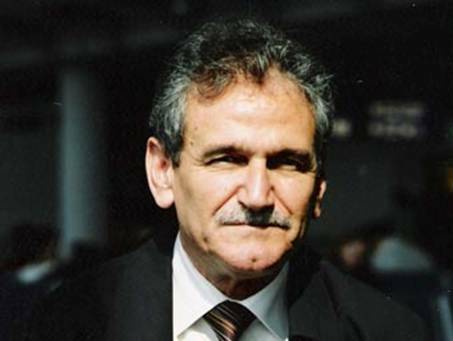 ____He worked for many years as a teacher and journalist, was editor-in-chief of a weekly magazine, Al-Talia’a [The Vanguard] 1994-96, and editor-in-chief of Dafatir Thaqafiya [Cultural File] magazine 1996-2000, when he was also director of literature for the Palestinian Ministry of Culture.